Our coffee shop-style instant latte. Crafted using natural high quality coffee beans. Made with fresh milk sourced from British dairy farmers. Smooth and milky with a velvety froth in every cup. 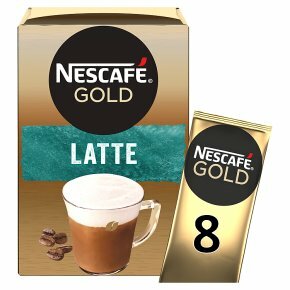 Prepare delicious drinks in moments with 8 latte sachets.This classic latte drink is crafted by experts and can be prepared at home in moments, whenever you feel like taking a break. Enjoy an expertly crafted combination of flavour and aroma in every cup of this milky latte.